Yesterday afternoon, I visited with my author friend Morris Raphael as he and his wife Helen had invited my friend Vickie and me to come by for drinks before we depart for Tennessee next week. Morris and I always refer to our friendship as a mutual admiration society – he reviews my books; I review his – and, as readers know, I blogged about him in two previous blogs. The weather yesterday was perfect, and from the wide windows in the living room of the Raphael’s home , we could see the tranquil bayou meandering by their backyard, which slopes down to the banks of the old stream. Visits with the Raphaels, as any New Iberian can tell you, are pleasant, hospitable occasions filled with good wine, tasty hors doeurves, and books and writing discussions. Yesterday, Helen offered us boudin and hogshead cheese, a wonderful Havarti cheese, and an Australian chardonnay Morris had ordered for her at Christmas. The highlight of the visit was our book exchange: I gave Morris copies of my recent books, NOTHING FOR FREE, and MARTIN FINDS HIS TOTEM, and he found for me a copy of MYSTIC BAYOU, which he published in 1985. I had loaned out my treasured copy of MYSTIC BAYOU years ago and whoever borrowed it made me think again about Mark Twain’s “It’s better to give than to lend, and it costs about the same.” I hadn’t been able to find another copy anywhere. “You’re getting a collector’s item,” Morris reminded me as he again inscribed a copy. He has only a few copies of this edition and doesn’t plan to reprint it. I’ve always felt that Morris should send this slim volume, along with a screen treatment, to Hollywood because of the unusual, yet plausible, story that unfolds in it. The narrator is “Ti’ Maurice,” who is Morris himself, and a secondary character named Placide LeBlanc, a salty Cajun swamper who lives on a houseboat in the Atchafalaya Basin of Louisiana. Placide tells Ti’ Maurice a bizarre story about Hitler surviving the final days in Berlin through a plan executed by Goebbels and other top officials in Hitler’s chancellory, in which a Hitler “look alike” volunteers to die for the Furher. Hitler takes off in a cub plane from a strip near the chancellory and succeeds in getting through Russian anti-aircraft fire. Several high-ranking Nazis await him on the North Sea coast, and they all escape in a submarine to some point on the Atlantic coast of an undisclosed South American country, then surface along the Louisiana coast. The Fuhrer is then brought into swamp country and hidden. Placide is part of a caretaking operation for Hitler, and though Ti’ Maurice has his doubts about the authenticity of the story, he can’t seem to discount the possibilities that such a bizarre survival tale took place. During WW II, many U.S. ships were sunk off the Gulf Coast by German U-boats, and stories about trappers or fishermen, who aided in the refueling of German subs, persist in south Louisiana. Sixty-nine ships were sunk in the Gulf of Mexico by only a half dozen U-boats. They were sunk near the passes south of New Orleans and off the coast of Terrebonne parish, according to Morris’s account. Placide tells Ti’ Maurice about the sinking of the Cities Service Toledo ship, a story that purportedly coincides with authentic reports made by the U.S. Department of Commerce, Maritime Administration in Washington, D.C. One report is included in Morris’s MYSTIC BAYOU. As I said earlier, Morris’s book intrigues me, and I wish that I could help him find a producer to film a story based on his book. South Louisianians will recognize bayou country sites of the lower Atchafalaya Basin, Morgan City, Berwick, Verdunwille, Centerville, Franklin, New Iberia, Lafayette, and Baton Rouge, Louisiana. A retired project engineer, Morris knows all the waterways in Louisiana and Mississippi and includes a map of the area he writes about in the beginning pages of MYSTIC BAYOU. He has been published in numerous magazines and newspapers and has authored thirteen books, many of them about Louisiana history and culture. He was honored with the Jefferson Davis award from the United Daughters of the Confederacy in 1979, and in 1991 Morris received the Cajun Culture Award for his efforts in advancing Cajun culture. More of his credits are contained in a previous blog. 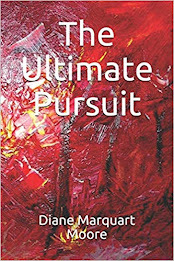 The cover for this volume was rendered by George Rodrigue, an international artist who has won awards for his work throughout the U.S. and Europe. Rodrigue is a native New Iberian and his art includes paintings of intriguing characters who stand motionless, as if hanging in space, and who evoke a haunted feeling in viewers. In Italy, Rodrigue was awarded a gold medal for outstanding creativity, and in France he was awarded an honorary medal at a Grand Palais show by Le Salon art exhibition. Most art lovers appreciate his “Blue Dog” work, which features a blue dog that appears in the foreground of many of his paintings. If you don’t own a copy of MYSTIC BAYOU, you’re missing a good read; however, I’m definitely not loaning my precious copy out again! Yesterday, I went to a matinee of the movie version of IN THE ELECTRIC MIST WITH THE CONFEDERATE DEAD, a mystery written by New Iberia’s native son and best-selling author, James Lee Burke. My primary interest in the movie was to see the locations and scenery that the director had selected from sites recommended by my good friend Janet Faulk who had shown the film crew locations for movie scenes. The story line of this movie centers on a Hollywood crew coming to town to produce a Civil War film. The movie stars Tommy Lee Jones as Dave Robicheaux, the fictional New Iberia detective who tries to link the murder of a New Iberia woman to a New Orleans mobster returning to his home town. Shots of downtown New Iberia, St. Martinville, and environs give the movie cultural authenticity, and Janet traces the effect produced to the movie company’s goal of looking not for New Iberia’s most beautiful scenery, not for a history lesson, not even for the purest sense of culture, but to tell a story,” to create a medium for James Lee Burke’s novel,” she said. “Rather than ask to see historic landmarks, they wanted to see places like a house with a long driveway…a strip of rural road with water on both sides.” Janet remembers her most humorous morning working as a scout as one in which she looked at her schedule for the day and discovered she’d have to search for morgues and men’s restrooms. Some of her sites involved weeks of searching, but other searches revealed perfect locations during the space of one long day. When the last James Lee Burke novel became a movie, it was filmed in New Orleans but its authentic setting should have been New Iberia, so producers of IN THE ELECTRIC MIST decided to film in Iberia Parish and four other Acadiana parishes. Janet says that they wanted to create the film in its indigenous setting and this drove the creative process to keep the integrity of the story intact. The film company also used existing property rather than building sets. This made Janet’s job a bit harder and the search daily became more intense for her. However, most of the locations were within a thirty mile radius of the Queen City on the Teche. Scenes were shot in locations along the West Atchafalaya Basin levee from Catahoula, Louisiana to ten miles south of the Charenton Boat landing near Charenton, Louisiana. A few of the scenes were shot in New Orleans. I was in New Iberia when “Scout” Janet worked on the scene sighting and know that for several months she worked from 8 a.m. until 8 p.m., and longer. Some nights she “scouted” for good restaurants to feed the movie crew, especially for those that offered crawfish. Some days she worked alone, and other days she traveled in a van with crew members and showed them sites they had chosen from photos or description. She was challenged to find the most authentic looking house of Dave Robicheaux, the movie’s hero, and spent several days riding along LA Highways 14 and 347. One of the interesting aspects of attending the movie, IN THE ELECTRIC MIST, in a New Iberia theatre is that you get to sit near your friends and hear them exclaiming over, or wondering where certain area sites are. I came away thinking that the movie was an unbeatable combination of good writing, good production, good acting, but, most of all, great location work by “Scout” Faulk (pictured above). Yesterday, I went outdoors to inspect the raking job the leaf man had done in the yard and found patches of vetch, its tendrils clinging to the ground everywhere. For me, the conspicuous green foliage with purple flowers always announces Spring. It’s early yet to declare Spring, but there it was, a gracious plenty of vetch growing in my backyard. For some reason, I suddenly recalled a Spring in the desert of Iran where I experienced my first “Nowruz,” the traditional New Year holiday celebrated there, a celebration marking the first day of Spring and signifying the beginning of the Iranian New Year. 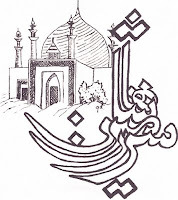 During the last month of winter in the Persian calendar, preparations called “Khoune Takouni” take place. Iranians initiate an extensive house cleaning, buy new clothes to wear for the New Year and purchase flowers to celebrate the rebirth of vegetation in the natural world. I remember that my houseboy, Jabar, requested a new set of clothes which I provided for the 13-day celebration of Spring. He asked for American-made pants and shirt, the pants of which I had re-tailored in Karun from my spouse’s larger ones. In fact, I provided five sets of clothing and a pair of new shoes! During my first celebration of the New Year in Iran, I didn’t prepare a “Haft Sin” table that includes various items of food and which is more of a display of items corresponding to seven creations and the holy immortals (like our saints) protecting them. If you’re interested in reading about the “Nowruz” traditions, you can find a description in my young adult book, SOPHIE’S SOJOURN IN PERSIA (buy at Amazon.com). a stark landscape of sand and stone. clustering in flower stalls, not vegetable bazaars. showing off its heart-shaped base. then grew a neat row of yellow and pink blooms. At Christmas I visited with Morris Raphael, his wife Helen, and their daughter Rose Anne who flies in to New Iberia every year from Berkeley, California. I’ve written about Morris several times and have mentioned Rose Anne, but I think she deserves a lot more print space than I’ve formerly given her because she is a member of that group I call “Renaissance persons.” I met Rose Anne back in the late 70’s following a lecture I had given about my sojourn in Iran to the Iberia Cultural Resources Association. At that time, she had just graduated from Mt. Carmel Academy in New Iberia and had been taking art lessons from internationally known artist and wood carver, Chestee Minvielle, as well as Oscar Ortiz (who did the art work for my book, IRAN IN A PERSIAN MARKET). Rose Anne and another young friend, Jeanne Bernard, a writer now living in Paris, were together at the lecture, and both talented young women began coming over to participate in salon-like soirees at my house on Front Street where artists, writers, and teachers often gathered to chat about art and literary subjects. Rose Anne then went off to the University of California in San Diego and earned a B.A. in English and American Literature. After she graduated, she developed an “envee” to study in Ireland, traveled to Dublin, and enrolled in Trinity College where she received a post graduate degree in literature. When Rose Anne returned stateside, she often came over for visits to talk about the direction of her life. 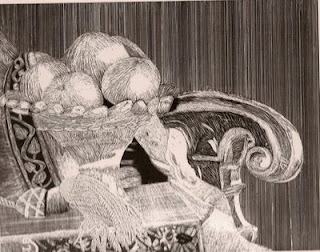 She had an entire portfolio of drawings and poetry she had done that impressed me as the work of a promising artist. As jobs in Acadiana were scarce, she volunteered to help me do research for my book about Louisiana women, THEIR ADVENTUROUS WILL. But before we could get the project launched, she decided that California beckoned her. She and a friend, Susan Broussard, packed an old VW station wagon and set out for “Diddy Wah Diddy” sans job, sans apartment, but filled with visions of getting work that further developed their artistic talents. Just as they reached San Francisco, the VW coughed and died, but both young women found jobs and an apartment. Rose Anne began her career as a college financial aid administrator, a job in which she used some of her writing skills but hardly touched her visions of artistic work. A few years later, she moved to Berkeley and began a career in public relations, which she says “uses my joy in writing and is diverse and interesting (no two days are alike).” She honed her PR skills by working five years for an international Public Relations firm, and in 1992, she launched her own PR consulting business which she continues today. The work in Public Relations is only the beginning of Rose Anne’s life work. She had wanted to focus more on visual art and says, “I knew the dot-com bubble would burst at some point, so when it did, I used savings accumulated during the boom time to return to art school.” After taking a few classes, she fell in love with visual art and enrolled in the San Francisco Art Institute, then worked on and completed a B.F.A. 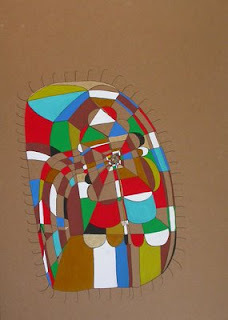 in painting and drawing from California College of the Arts in 2004. “I cried on my last day of school,” she writes. "I really loved it, especially painting, drawing, photography, and printmaking.” While she attended art school, she won an award and scholarship for printmaking. After she graduated, she also won an award for photography (I have several of her photographs of old buildings in Acadiana). While Rose Anne was in art school, she maintained her PR business, and with characteristic pluck and tenacity, began to attract more work after she graduated, more than enough to pay off her student loans. For many years she took voice lessons and once rendered songs a capella in my living room for a select audience. She now sings in the Presbyterian Church two blocks from her apartment. Rose Anne really becomes enlivened when she talks about her newest interest which involves creating set designs for theatre. “My interests in visual art, literature, and performance come together with set design, and I love it. It also challenges me to learn more about architecture, drafting, and the collaborative process of theater,” she says. Since 2004, she has been designing sets for theater regularly. However, she still operates her PR business and was recently elected Chair of the San Francisco Public Relations Round Table in 2009. My friend Vickie and I have visited with Rose Anne at Berkeley twice where we sampled the cuisine and, of course, the wonderful bookstores in the university area. Rose Anne still lives in the apartment she first rented when she moved to Berkeley, a warm space filled with art, antiques, and books. We shared the apartment space with her cat, but she writes that she doesn’t have a cat companion at present. For over 30 years, I’ve observed the careers of this talented young woman who once struck out for California in an ailing VW station wagon and found the artistic life she sought, and I can’t wait to read the next chapter in Rose Anne’s life as a Renaissance woman! The covers of my latest two books, NOTHING FOR FREE, and MARTIN FINDS HIS TOTEM, as well as those of my Young Adult book about the Spanish settlement of New Iberia, FLOOD ON THE RIO TECHE, were derived from paintings by my brother Paul who lives in a state our family calls Diddy Wah Diddy, better known as California to readers. The covers were then designed and tweaked by my grandson Martin who received a degree in Landscape Architecture from the LSU School of Design a few years ago. Many decades ago, my mother painted pastels of infants and woodland creatures, and made cartoon-like drawings to accompany clippings of activities she enjoyed for the scrapbooks she kept while attending Mississippi Woman’s College and Mississippi State College for Women. My father, who honed his skills as a civil engineer with Roosevelt’s CCC and WPA, was an expert draftsman and designer. And then there’s Kimberly, my granddaughter, now 17, who has swept away the Grand Prize twice in the Youth Division at the Art Show in Antelope Valley, California during the last three years. Yesterday, I lunched with my Fortnightly group at Lagniappe Too, and, as usual, enjoyed the parley with friends who know an amazing amount of lore about the Queen City of the Teche. The repartee is delightful, as is the food prepared by one of New Iberia’s leading chefs, Elaine Landry. Table conviviality is a hallmark of Cajun country, and there’s no dearth of appetite at most social gatherings that include food. Only a few evenings before this luncheon, I attended a Super Bowl party at the home of Daily Iberian publisher Will Chapman and his wife, Gladys. In their handsome home, I feasted on a bowl of chili that could easily compete in the Great Chili Challenge held annually in New Iberia, not to mention a homemade rum cake that might challenge the best of bread puddings made by New Iberia chefs. “Food is love,” Fortnightly member Dianne Landry declared at the table yesterday. “When we have a family gathering, I think the most loving thing I can do for them is to cook!” She’s right, of course – appetizing meals foster good will, even within the most dysfunctional families, and the French in south Louisiana have long espoused this philosophy. 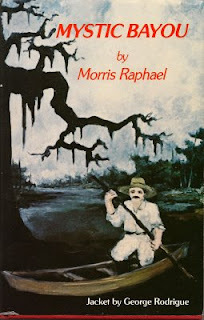 Back in 1983, my good friend and fellow writer, Morris Raphael, translated 39 tapes recorded by Weeks Hall, the former owner of The Shadows-on-the-Teche, (an antebellum mansion he donated to the National Trust for Historic Preservation) in which the subject of gastronomy in French Louisiana is featured. The tapes, in compiled format, also cover origins of south Louisiana food and area history …but the cooking of food is the foremost topic of interest. 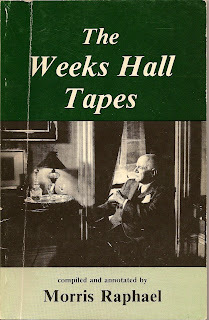 Morris still enjoys active sales of this wonderful translation of THE WEEKS HALL TAPES and says that it was a laborious process to compile from tapes that were worn and to make transitions because at least five of the original tapes had been lost or damaged beyond repair. According to Morris’s translation of this tape, suppers prepared by men were hosted in the homes of a salesman, a doctor, a bootlegger, a farmer, and attorney… any man who could cook excellent cuisine. Weeks Hall attended one supper with gourmet chefs that featured a mechanic who, before beginning the “roux,” placed a bottle of corn whiskey on the sill beside the stove. His sous chefs watched as he stirred his roux and removed bones from catfish that would become part of the dish. Hall related that as the roux progressed and the scent of the concoction became more appetizing, the level in the corn liquor bottle diminished. Voila, a wonderful catfish courtbouillon was ladled into soup bowls, and beer was placed on the table. As the story goes, the courtbouillon was eaten with relish, and the mechanic received glowing compliments. The connoisseurs, even though they were filled with whiskey and beer, could discern the flavor of this courtbouillon as distinct from any of the others the chef had made! In Tape 14, Hall declares that the chefs began to discuss the merits of the present courtbouillon and former ones the mechanic had cooked. This appraisal led to a round table discussion in which chefs sitting around the table talked about the making of their own former courtbouillons.